Episode 6 has been released for April 2015 and it is entitled The Tiniest Fossils. These fossils have such intricate geometric patterns packaged in such a small shell. Essential for early fuel exploration and now researched as possible indicators for climate change. This video highlights some of the research work being done at the museum on these types of fossils. I especially liked the part showing the creation of 3D computer models and the creating them with a 3D printer. 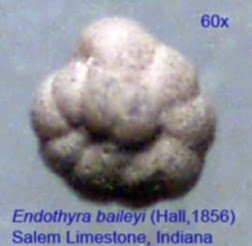 Image above is of a microscopic type fossil found Indiana of the Carboniferous period foraminifera Endothyra baileyi. 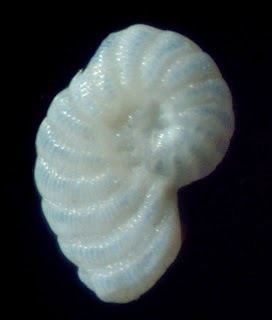 Last picture is of a modern foraminifera found in the waters around the island of Guam. It is the Peneroplis plantus.